For communities of color in Oakland and across the nation, prioritizing healing is a radical, political act. These are trying times. And yet, all around us, people and organizations are coming together to offer critical support to each other and our communities. S.H.A.D.E. Movement empowers survivors of sexual exploitation, human trafficking, and domestic violence to create positive change and lead the anti-trafficking movement. Love Not Blood campaign provides individualized support to local families affected by police violence. And the California Immigrant Youth Justice Alliance, an immigrant youth-led organization that strengthens local and statewide grassroots organizing efforts to build collective power to eradicate detention, deportation, and all forms of incarceration. These are three of the many local partners that Akonadi Foundation supports through our So Love Can Win Community Response Fund, which funds local efforts to bring healing and safety to communities of color across Oakland. We launched this fund in the summer of 2016, following the Pulse Nightclub shooting and the deaths of Alton Sterling and Philando Castile at the hands of police, all of which happened in the span of one month. Our hope was to support local efforts to address the three-pronged trauma of violence, poverty, and displacement that has many people of color in Oakland fearing for their lives, their homes, and their futures. Before we launched this new fund, the staff of Akonadi Foundation reached out to our local partners in Oakland to ask what more could we do to help in that moment. As we engaged in these conversations, two words came up again and again. The first was “healing.” People expressed a desperate need for dedicated resources to support people and communities to heal after experiencing racialized trauma. The second was “safety.” People talked about how much our communities and our society spend on police and law enforcement with the stated goal of keeping us “safe.” But these conversations reminded us that true safety comes not from the police, but from feeling pride, security, and a sense of belonging in one’s community. It comes from collective trust. In administering this fund over the past two years, we have continually been reminded that Oakland is home to a wonderfully diverse community of individuals and organizations committed to caring for our town and making people and families whole. The fund has supported a range of holistic healers, spiritual practitioners, activists, artists, and others who work with communities facing oppression and harm. Instead of an individual, pathological approach, we’re taking a collective view of what it means for a community to heal and find safety. We are also taking a political view — because we’ve seen again and again how the systems in our community and society are stacked against communities of color, and we recognize that people need to stand together and work for change. Two summers have passed since we started the So Love Can Win Fund, and the summer of 2018 showed that communities of color continue to struggle. From the murder of Nia Wilson on a BART platform, to the blatant racism on display when people of color were reported to the police for having a barbecue in a public park, to Oakland’s new status as “ground zero” for displacement of black people from their homes, our community faces huge challenges in addressing racialized trauma and injustice. All the more reason, then, to lift up and sustain people in our midst who are working to help communities of color find strength, support, and belonging. 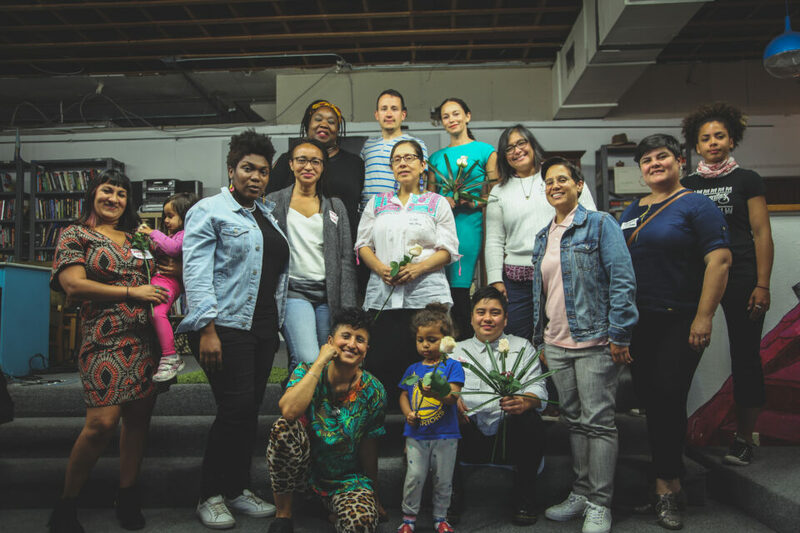 People like Jose Ivan Arreola, director of the Genesis Healing Institute, who is bringing holistic and traditional healing to social justice advocates in Oakland. The final deadline to apply for the So Love Can Win fund is November 15. Learn more here. Iris Garcia is Learning and Impact Program Officer with Akonadi Foundation in Oakland.